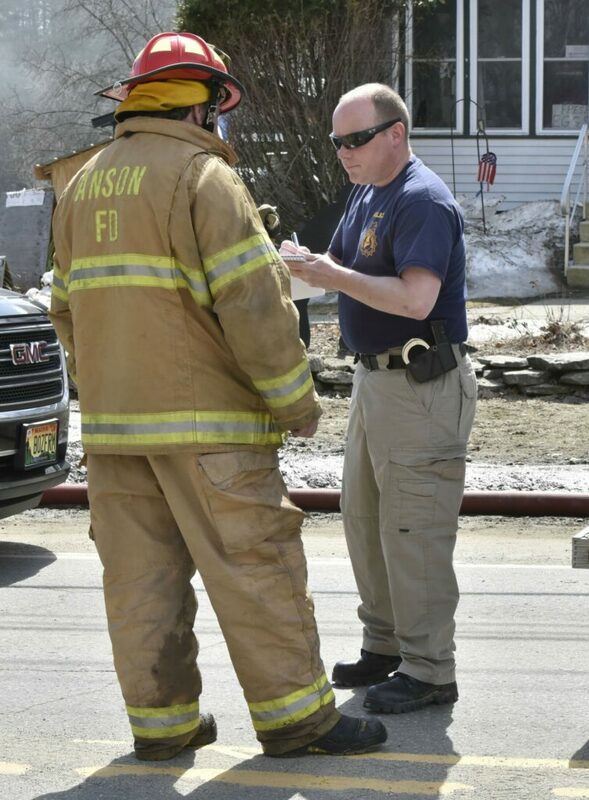 Authorities are investigating the cause of the fire that took place on Moore Street around 10:30 a.m. Sunday. 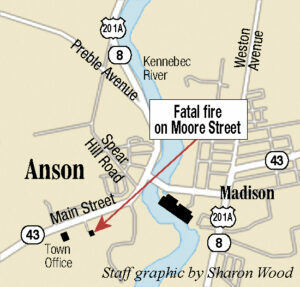 ANSON — One person died after a fire engulfed a home in Anson on Sunday morning, Sgt. 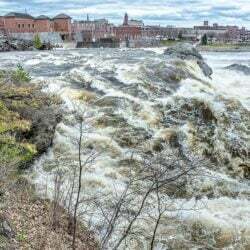 Ken Grimes of the Office of the Maine State Fire Marshal said. 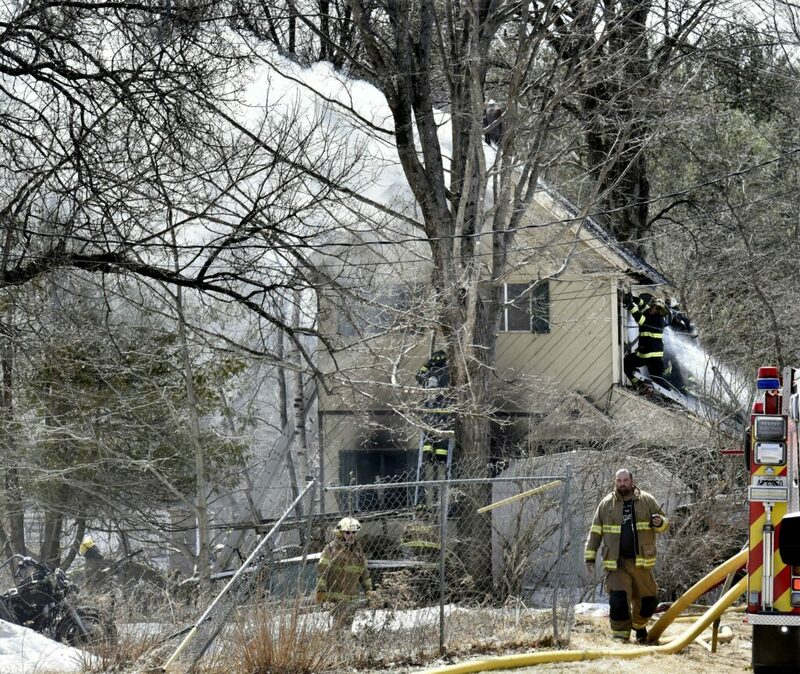 Richard Duley, 75, owned the two-story house on Moore Street, according to Grimes. At the scene, firefighters could be seen spraying water into the second story of the smoking building. The incident was reported just after 10:30 a.m.
Grimes added that he was not aware of any pets having lived in the building, which was deemed a total loss. Fire units from Anson, Madison, Starks, Skowhegan, Athens, Norridgewock, New Portland and Solon all responded to the call. Moore Street is a dead-end road off Main Street that is a tenth of a mile away from the Anson South Fire Station.